In xRMLink, a Widget is any component that can be placed on a Page in any order and varying widths. 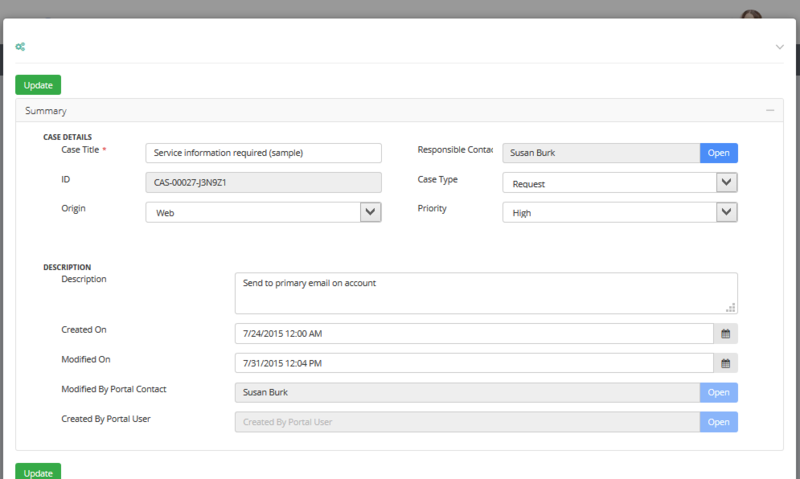 Summary widgets usually are placed on a dashboard page and show counts of records from a custom FetchXML statement. For example. "# of Open Cases"
Or a grid can be defined a custom FetchXML statement to add dynamic filtering based on the logged in Portal user. FetchXML is creating using Advanced Find. 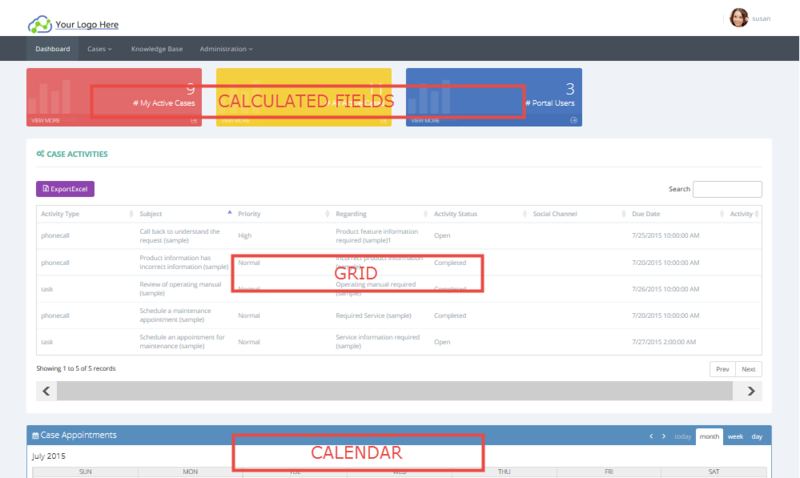 The calendar widget will display records from any CRM entity that can be found using Advanced Find provided that they have a "Start Date" and "End Date"
A portal form is mapped to a CRM Form and changes to the CRM Form are reflected instantly in the portal.